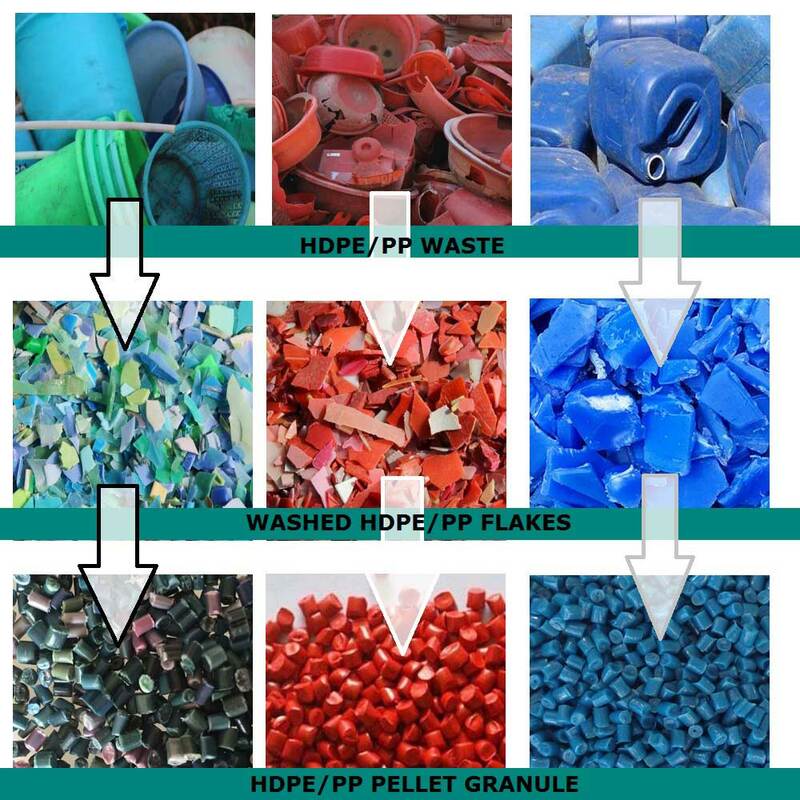 HDPE and PP recycling | Silver Python Machinery Co., Ltd.
As for PET post-consumer bottles, recycling of HDPE and PP bottles, containers and thermoforms is becoming particularly interesting and represents another important section of the recycling market. A wide variety of final products and applications may derive, with interesting and remunerable financial returns on investment for recycling companies. As in the case of PET, the quality and conditions of collected HDPE and PP wastes vary significantly from country to country, but also within the same country. In many cases, the quality of the collected material can be very low. It is necessary for HDPE-PP recycling technologies to becontinuously updated and technical solutions must be provided to correctly process the most difficult and contaminated materials while reaching the best final quality. Silver Python ‘s worldwide experience in the field of recycling is a guarantee of its capability of providing its customers with customized and accurate technical solutions with the state-of-the art recycling technologies. We are prepared to correctly respond in every moment to the ever-changing needs and conditions of our customers and of the market. For specific projects, Silver Python can offer turn-key solutions and give its customer full-optional engineering services including, for instance, waste water treatments. 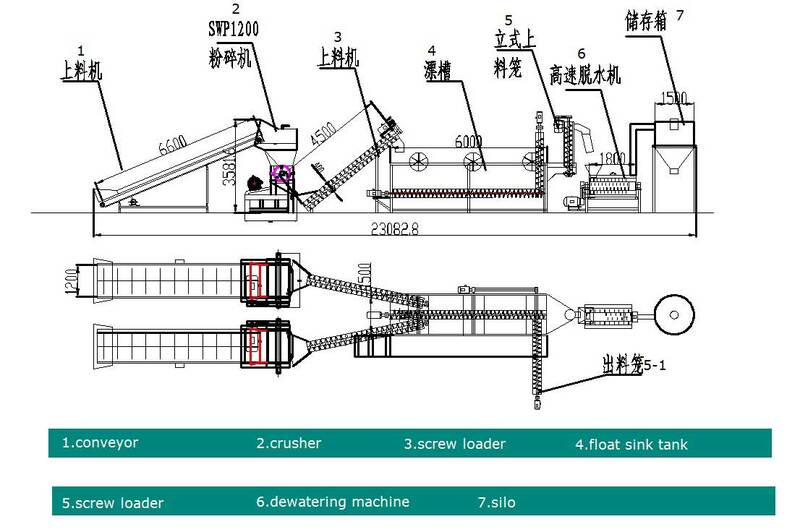 HDPE-PP recycling lines Considering its long experience in the field of HDPE recycling, Silver Python can rely on the most performing recycling technology and on a recognized know-how for assuring the best quality r-HDPE flakes. Most of the worst contaminants are eliminated in an early step of the HDPE recycling plants. Thanks to the accurate and efficient pre-washing and washing systems developed by Silver Python, R-HDPE flakes coming out of Silver Python HDPE recycling plants can be almost compared to virgin HDPE resin. The HDPE and PET washing processes have very strong similarities. This allows Silver Python to realize both HDPE washing lines dedicated only and specifically to HDPE-PP recycling machines and systems integrating HDPE-PP and PET washing. Specific devices are included in the washing lines based on the materials to be treated.